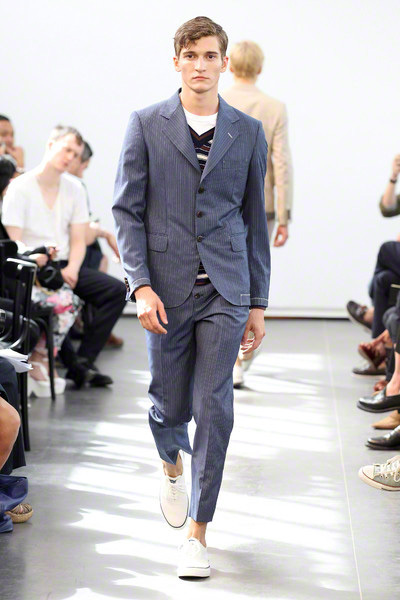 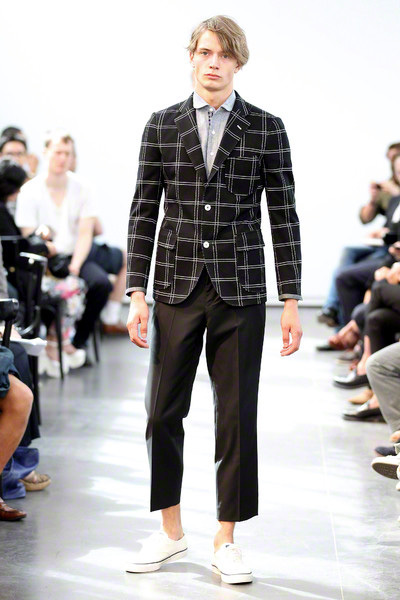 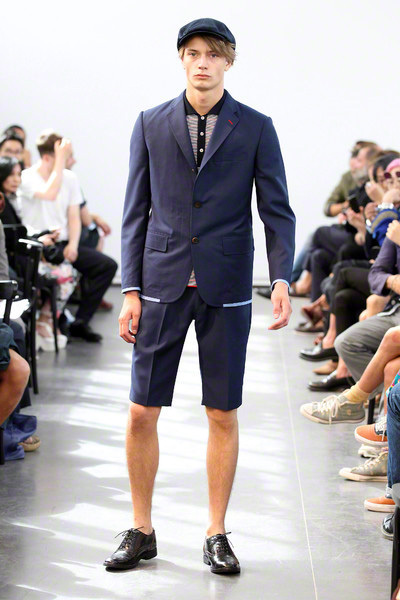 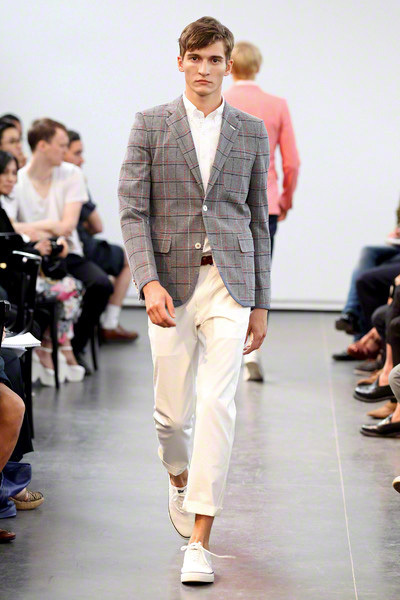 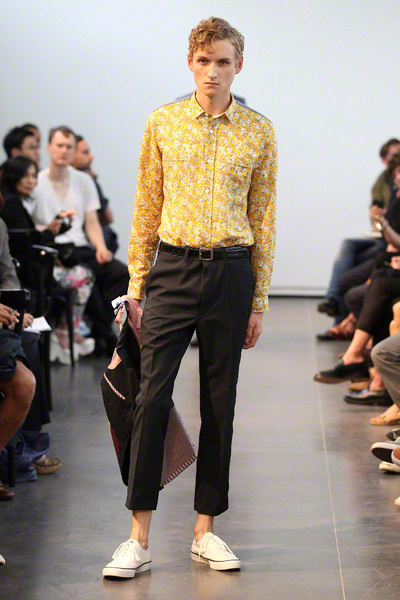 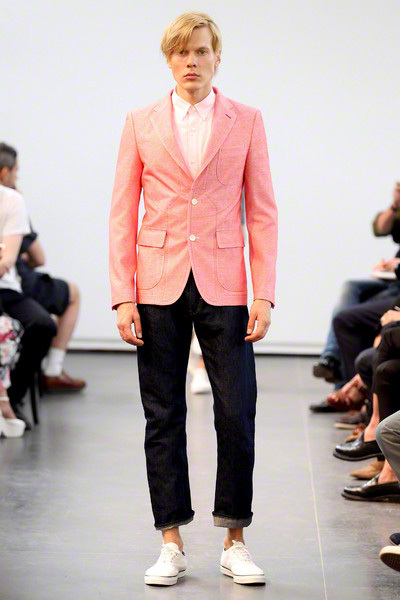 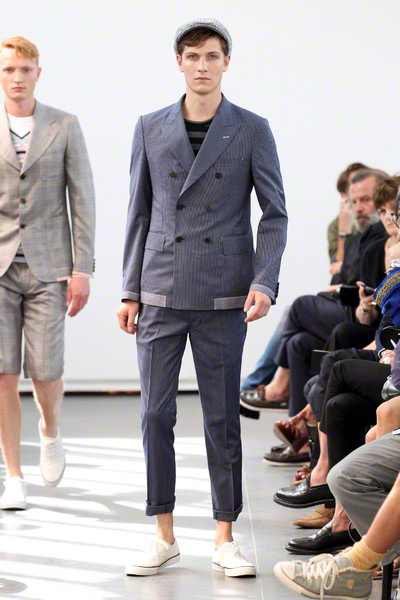 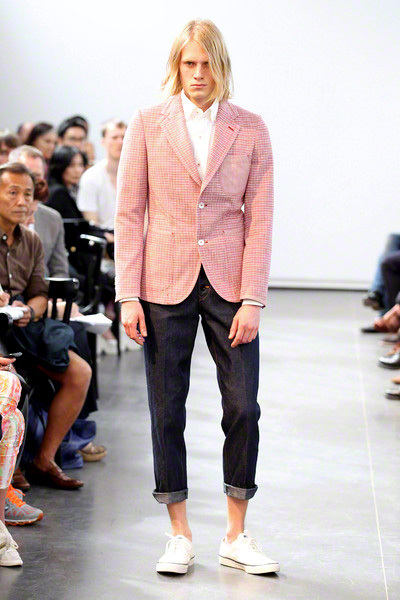 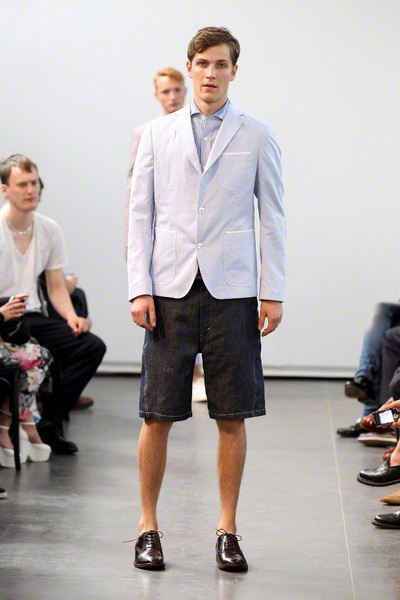 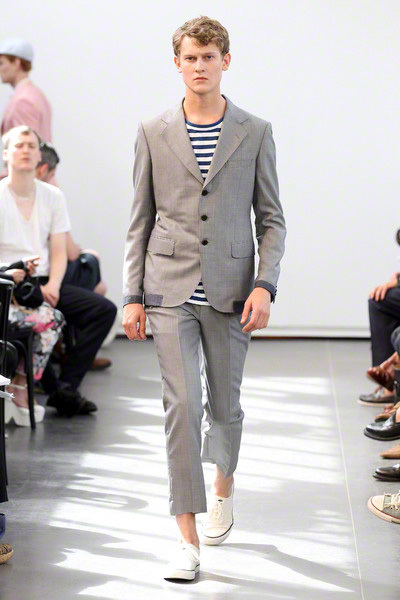 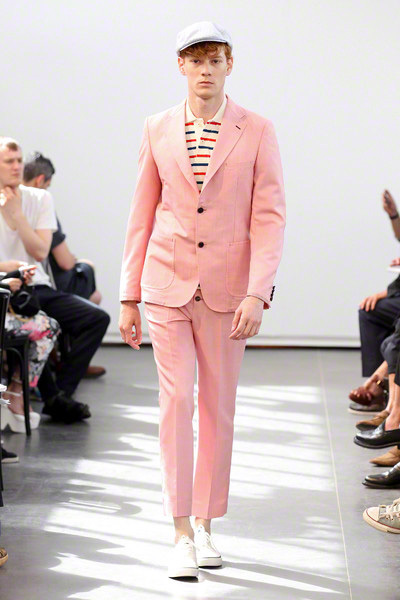 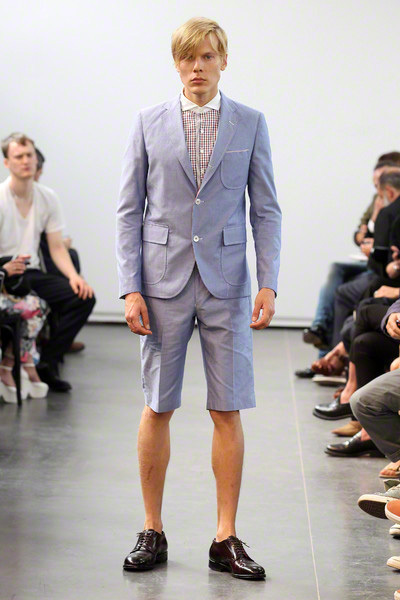 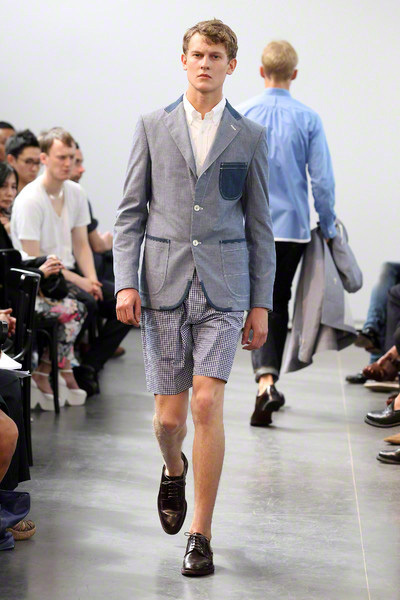 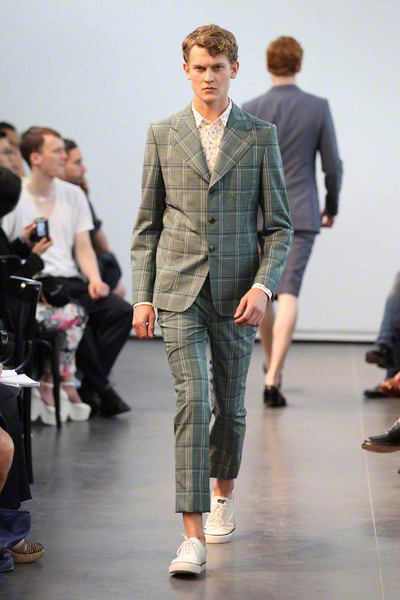 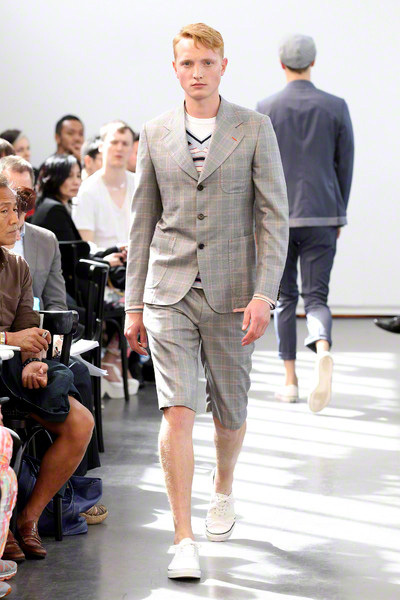 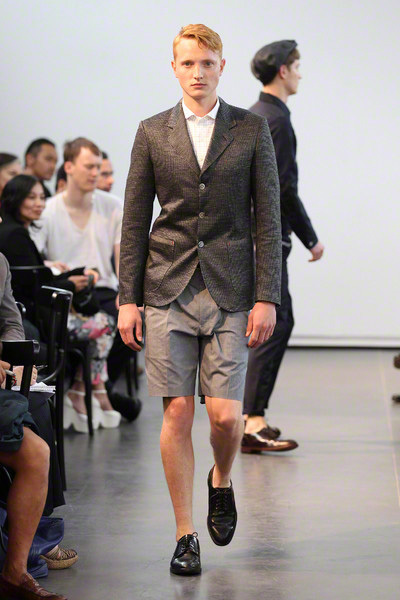 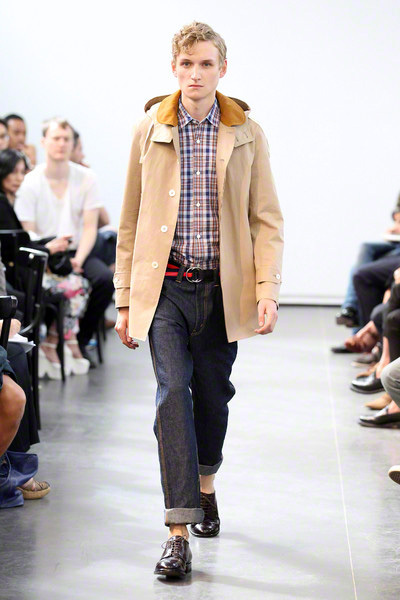 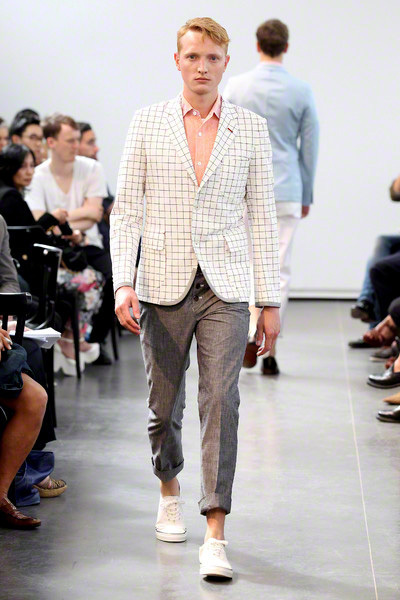 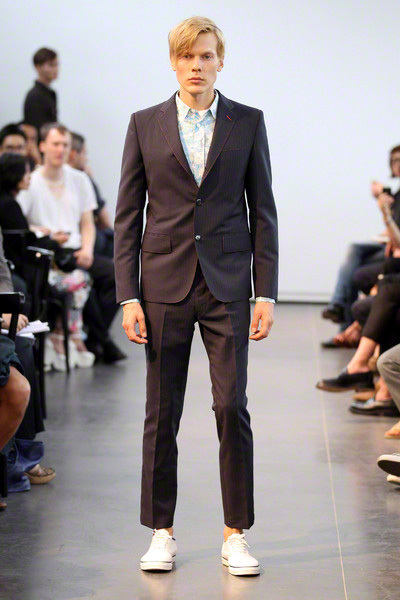 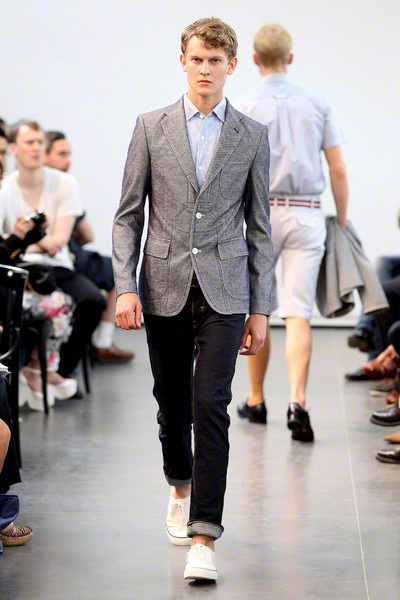 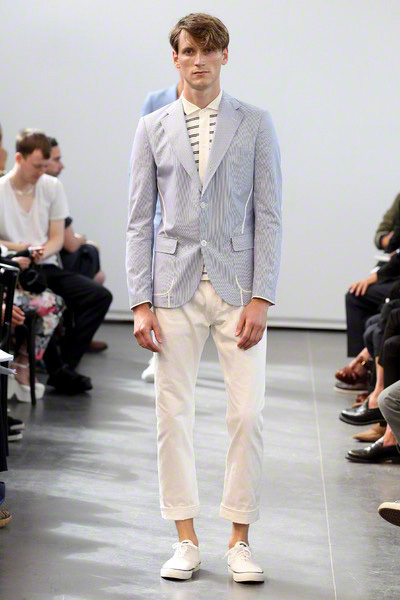 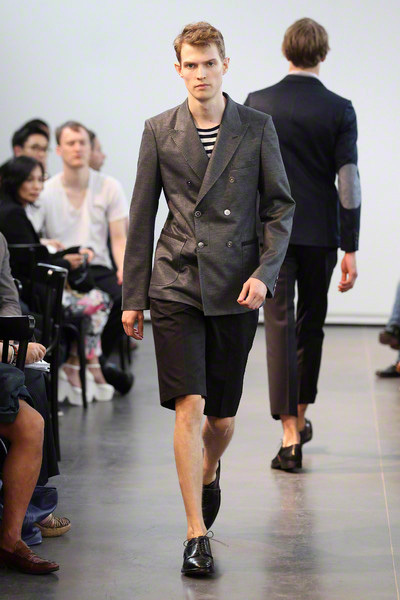 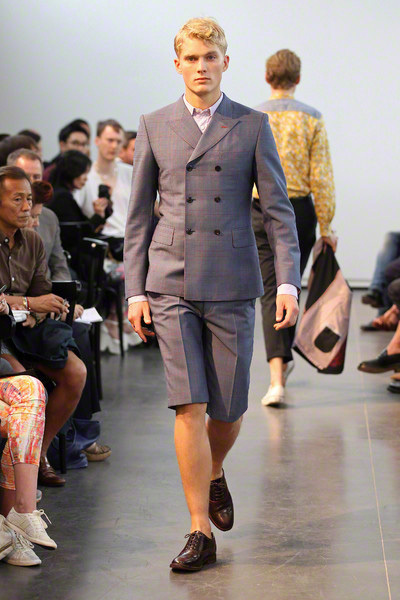 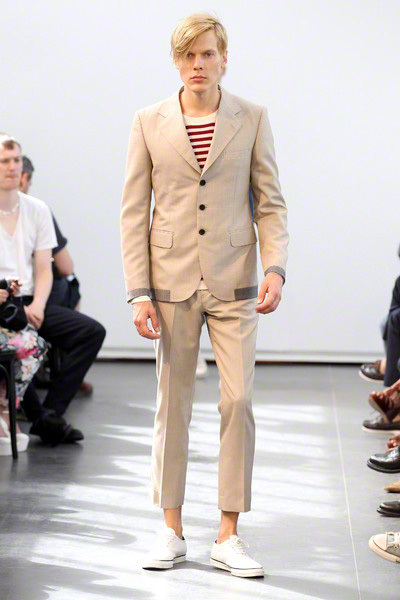 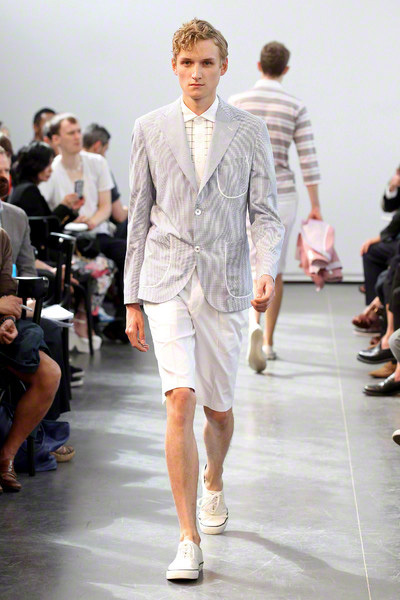 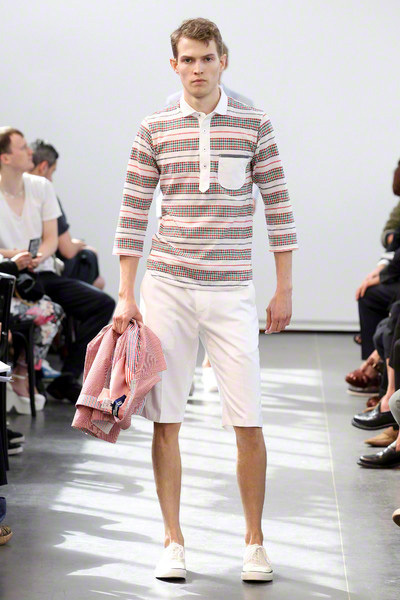 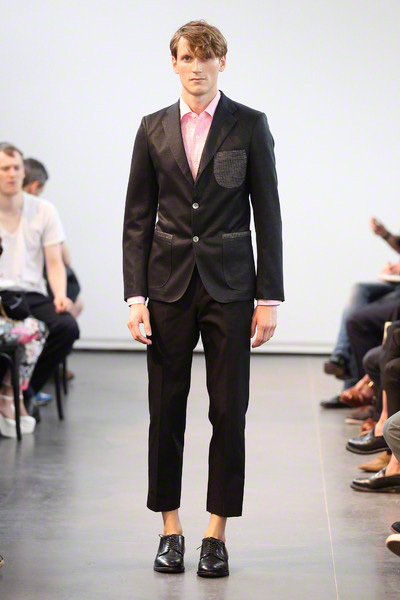 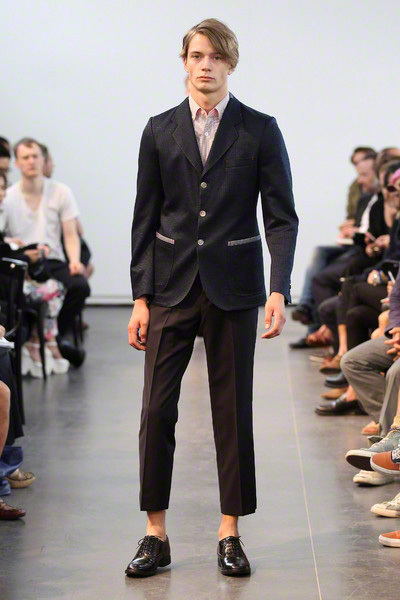 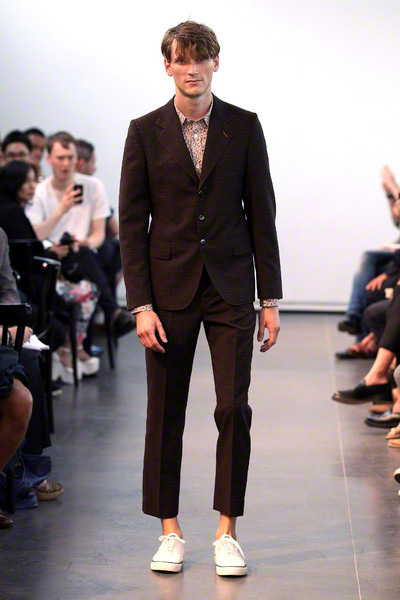 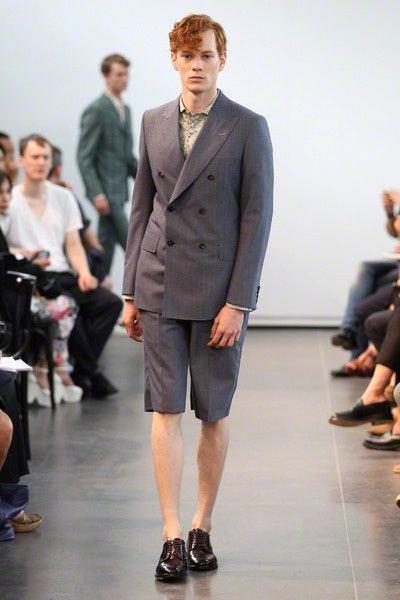 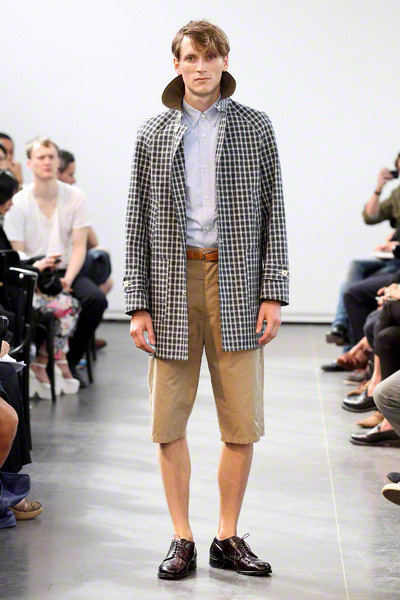 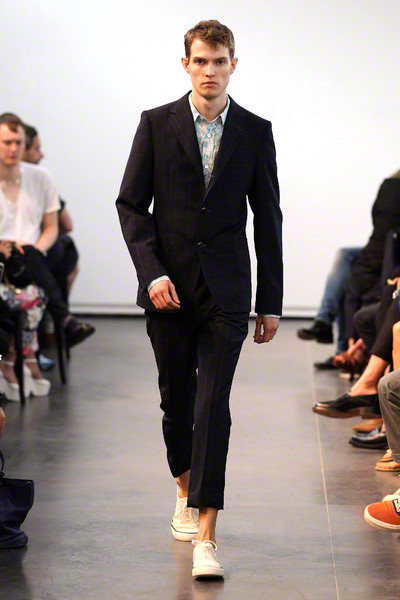 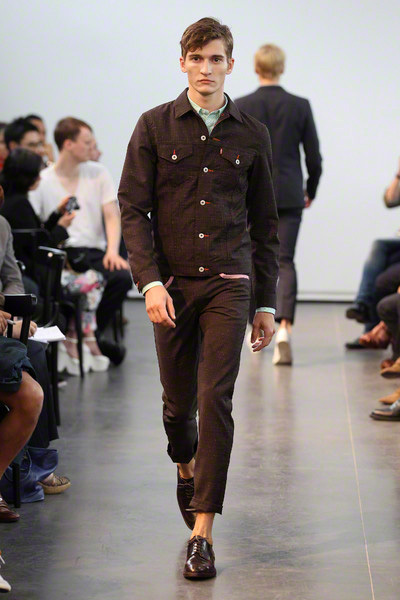 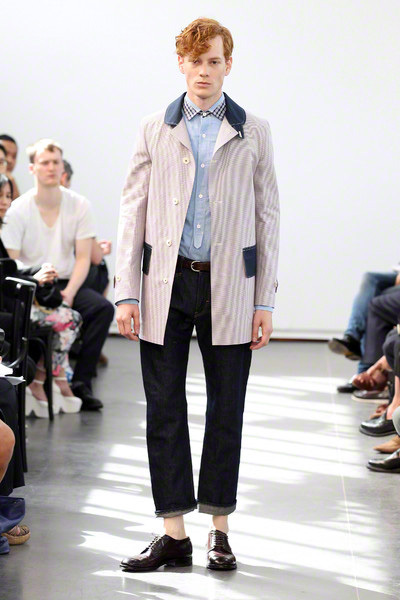 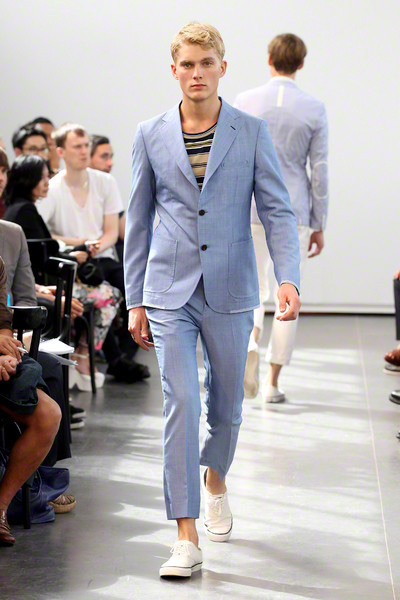 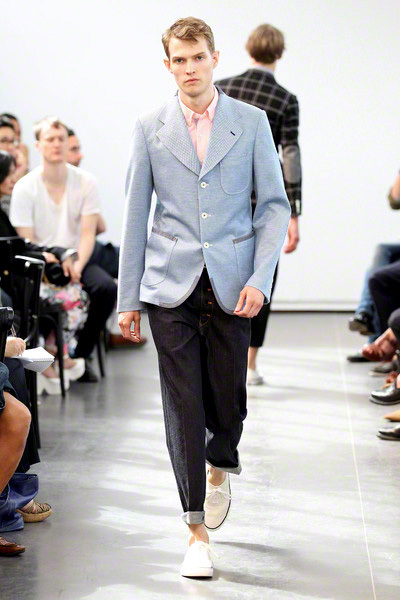 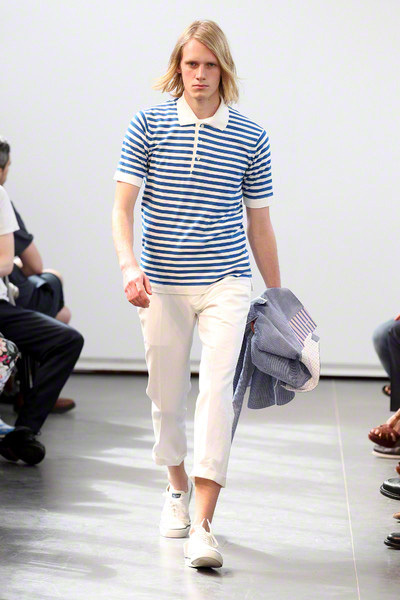 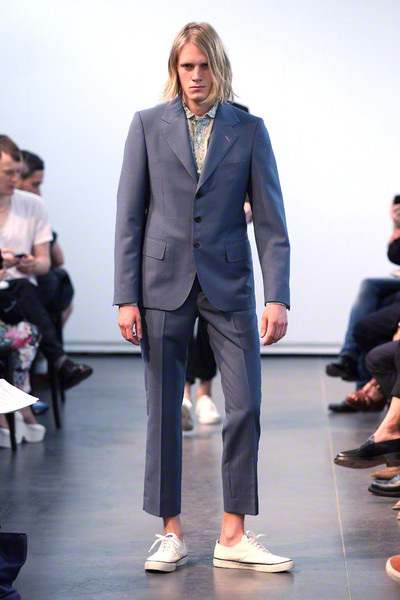 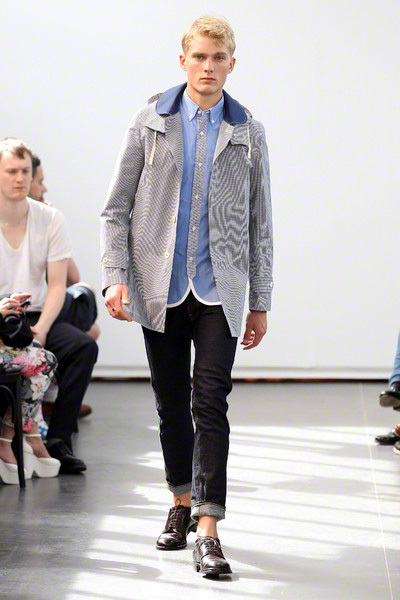 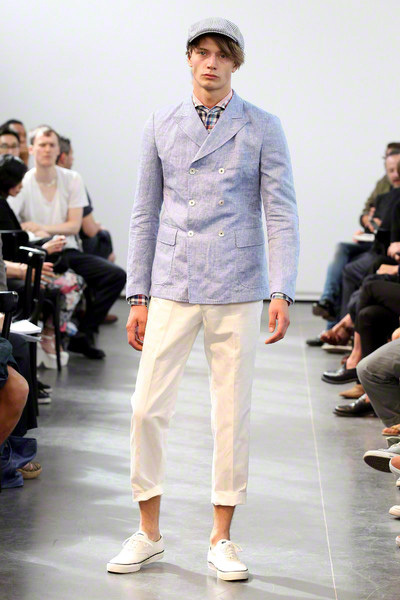 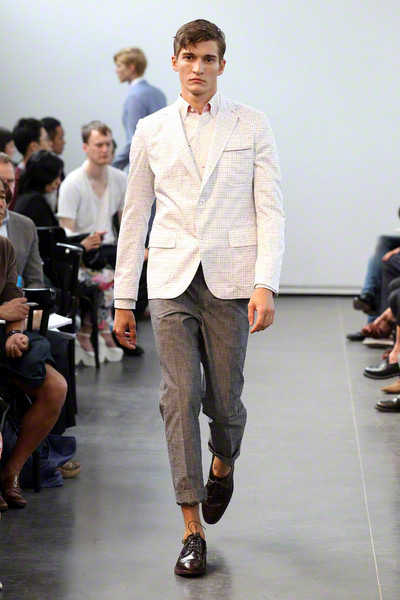 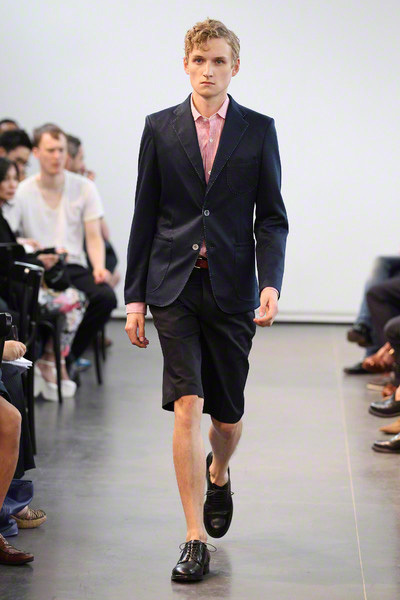 The Beatles were the soundtrack for a sweet, urban/preppy collection from Junya Watanabe. 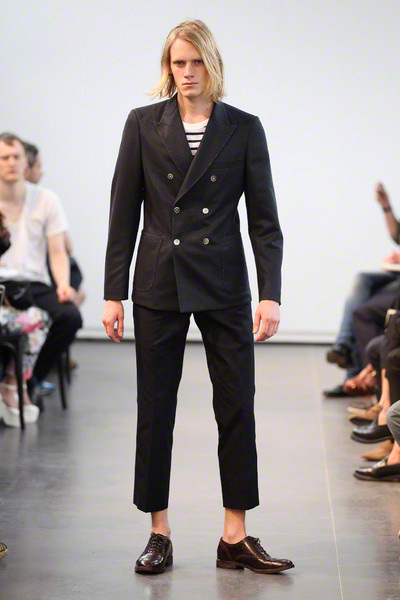 He said he moved away from structure although his men looked rather sharp-dressed. 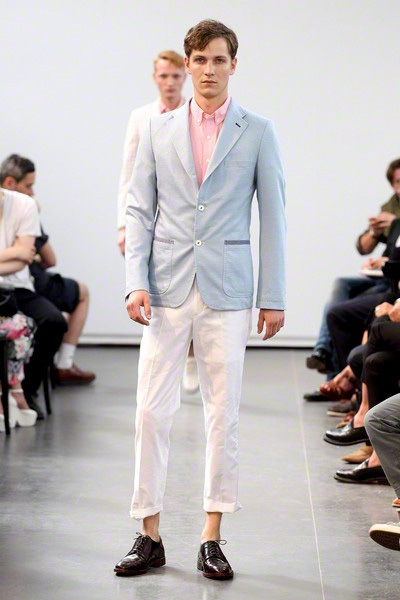 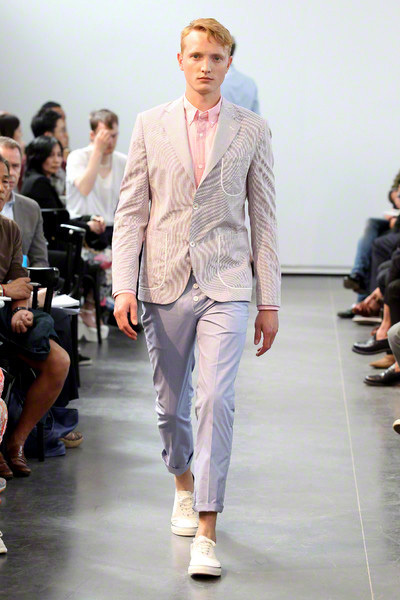 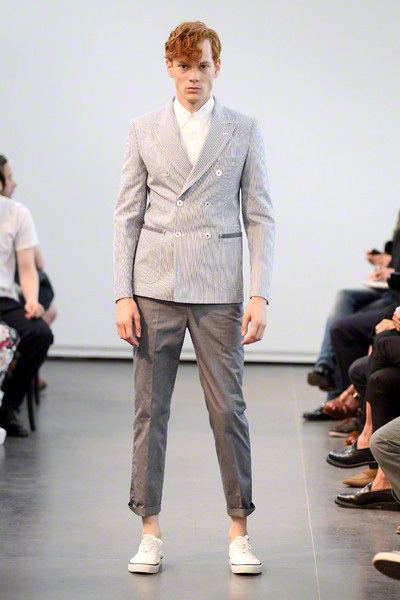 There was a easy feel to the collection with the fresh-faced models in suits and separates in cornflower blue, khaki and pale gray. 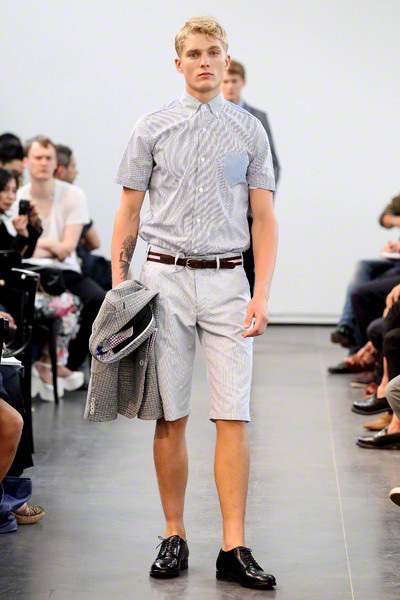 Pants were cropped above the ankle or cut into trim Bermudas. 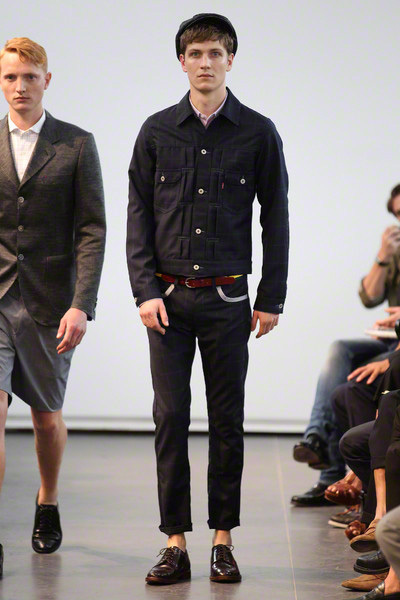 Individual touches included elbow patches and pocket trims in shirt fabrics.